Gates utilize 1” square, 16-gauge tubing and features radius corners for added safety. Gates are in a 1 1/4” square, 14 gauge tube frame measuring 77” tall. The bottom 9 inches is framed with 1 1/4” square tubing and a 16 gauge solid metal sheet is welded on that portion of the gate frame. 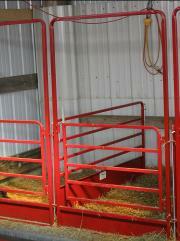 Gates are available in two heights with the 40” tall gates having six bars; the taller 48” gates having seven bars. 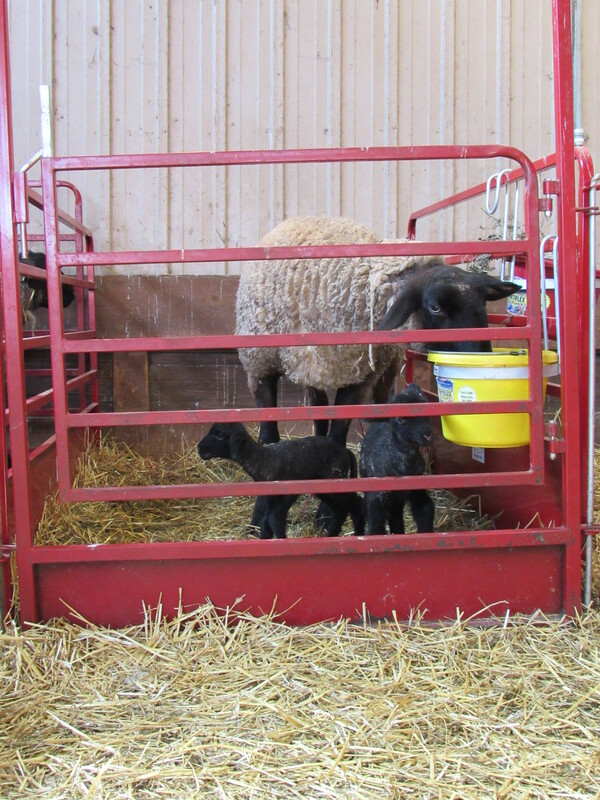 The solid sheet on the bottom of the gate frame helps keep baby animals in and helps keep bedding contained in the pen and out of the isle ways in your barn. KSEM, Inc. © 2014. All Rights Reserved.